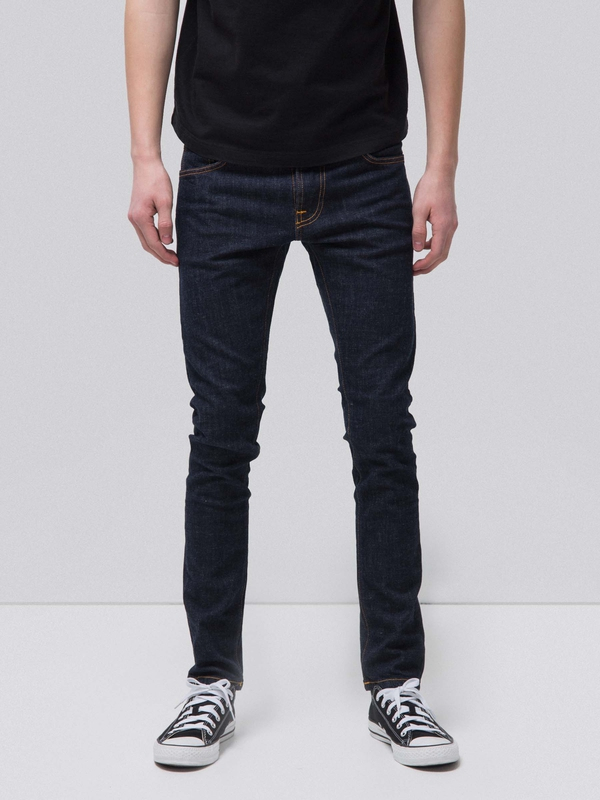 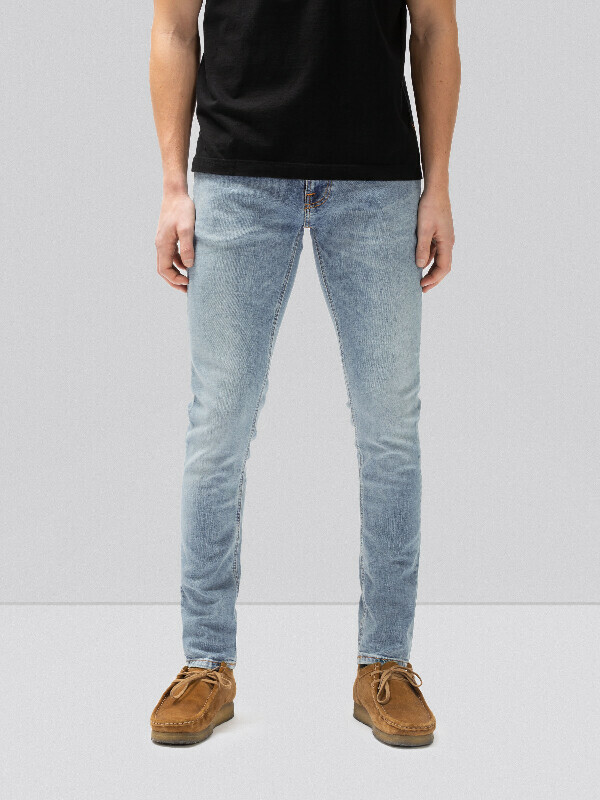 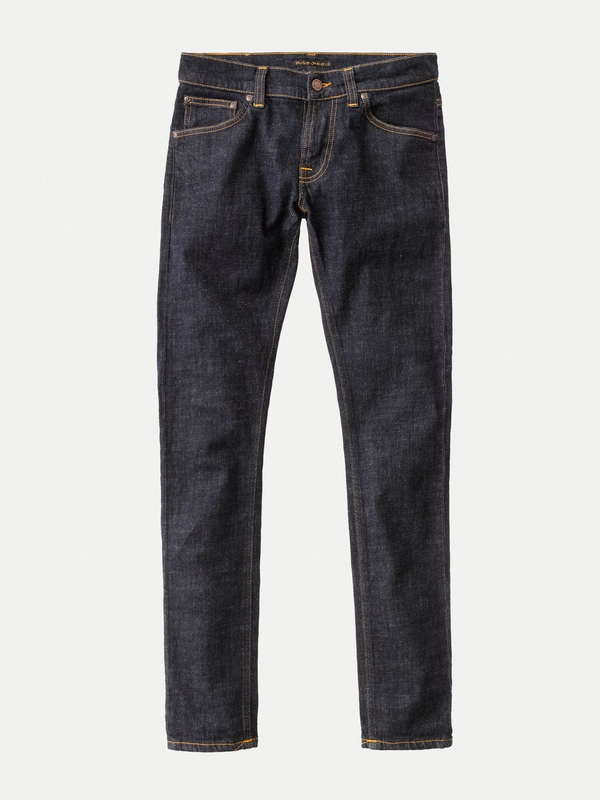 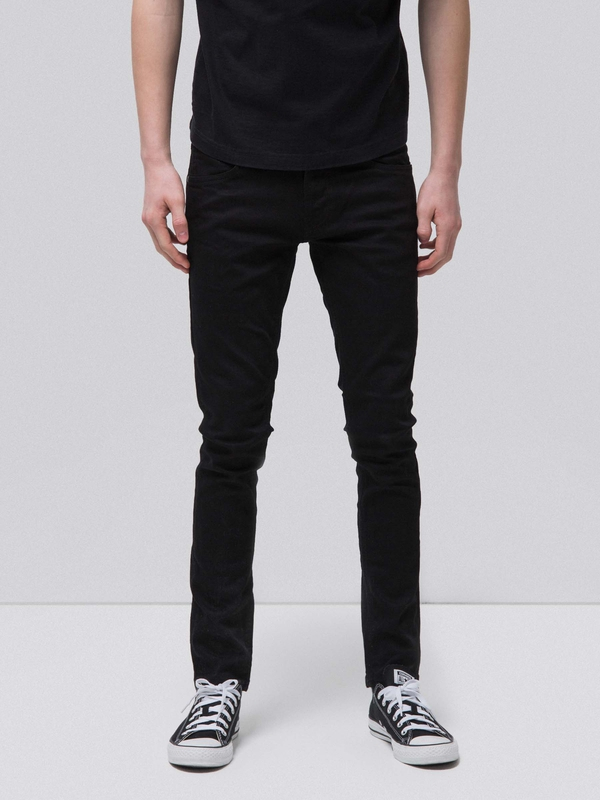 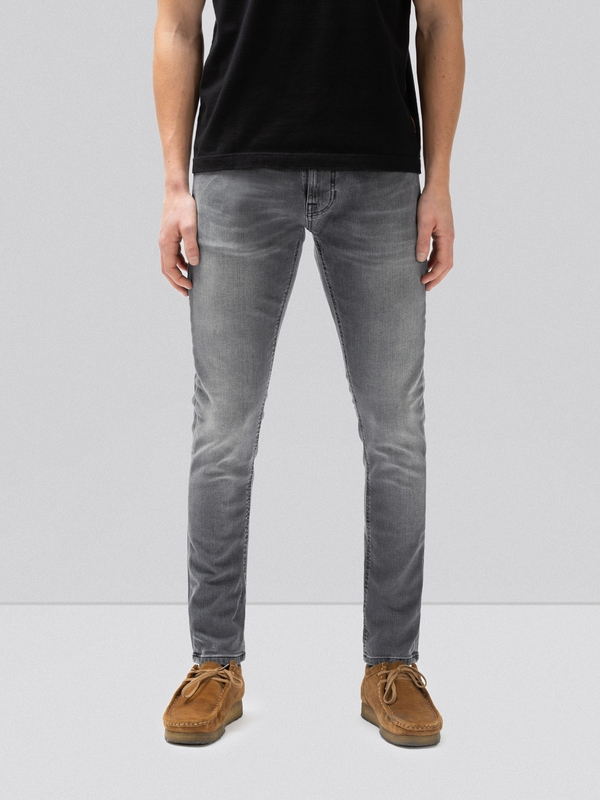 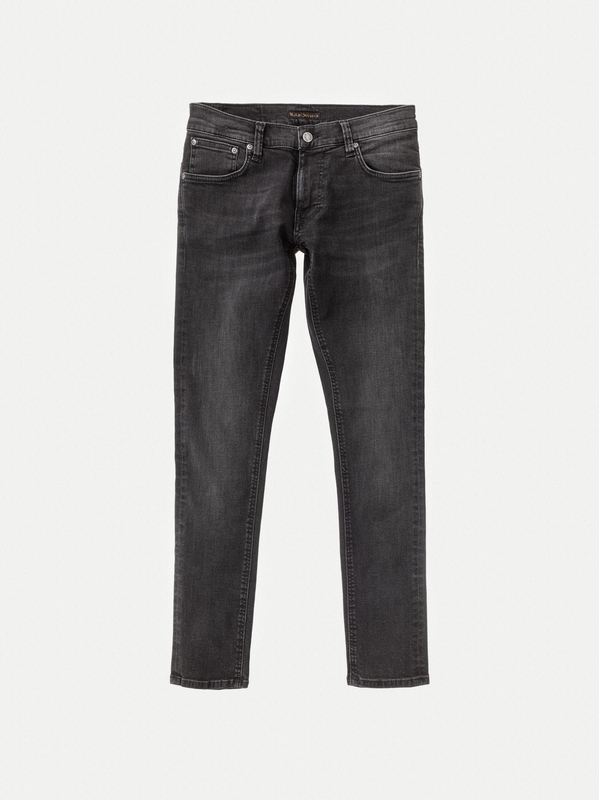 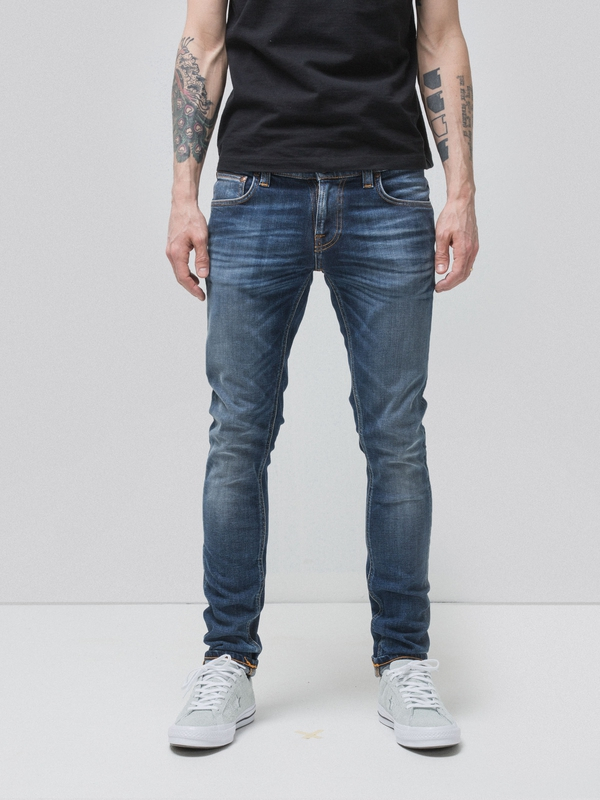 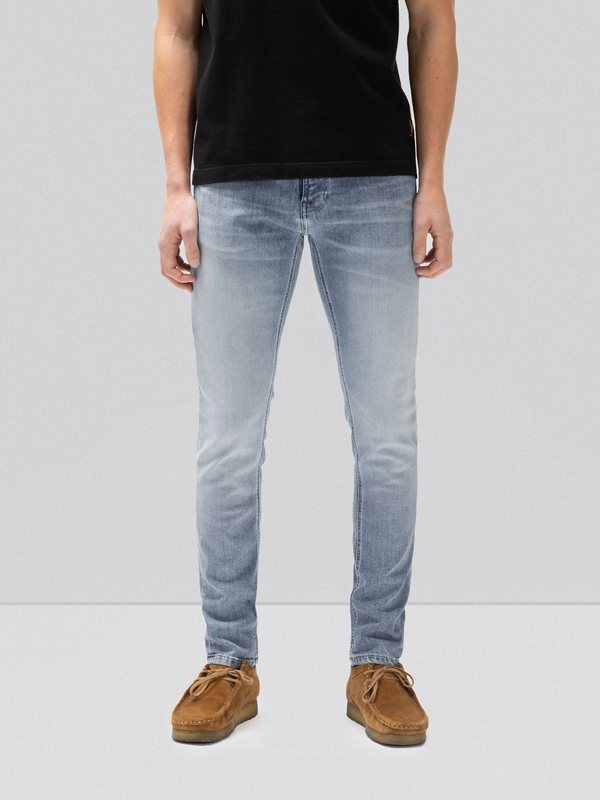 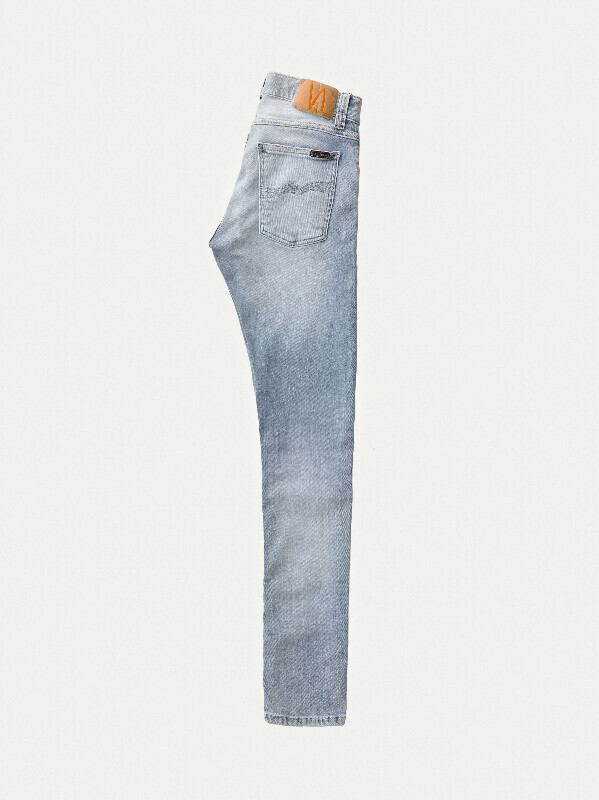 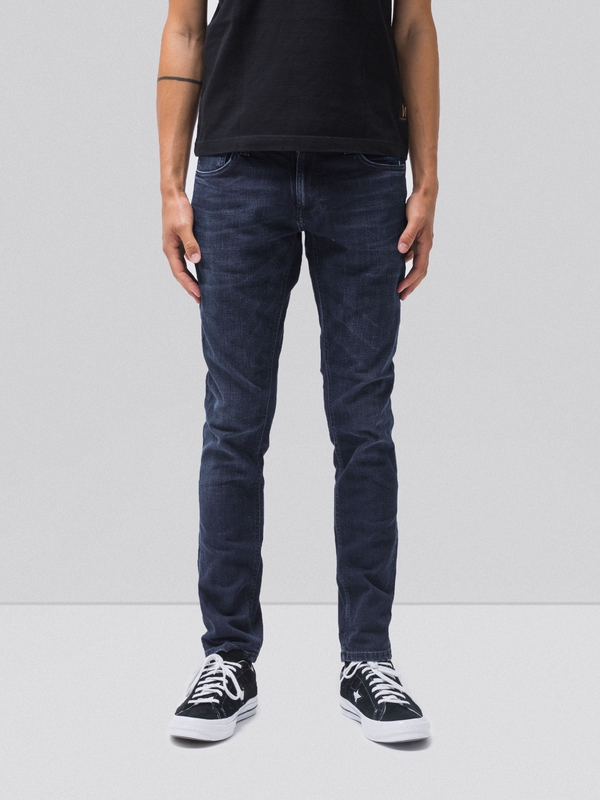 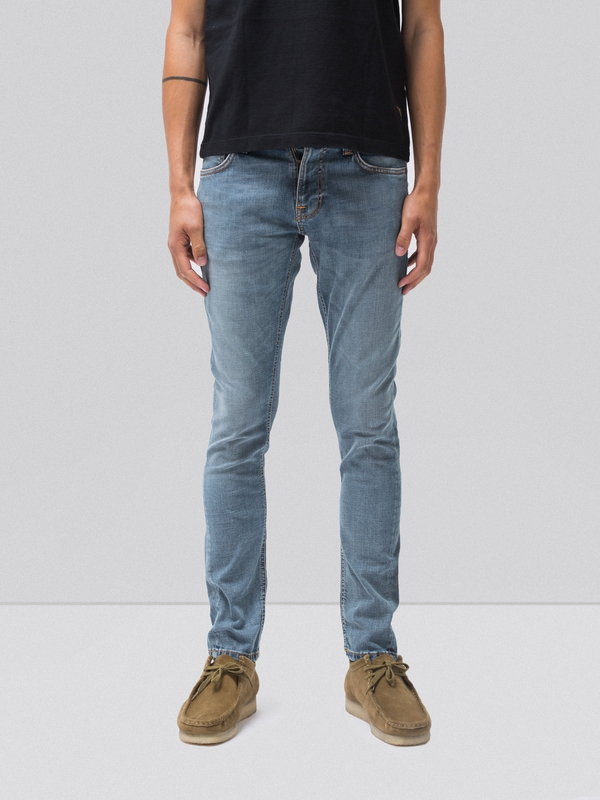 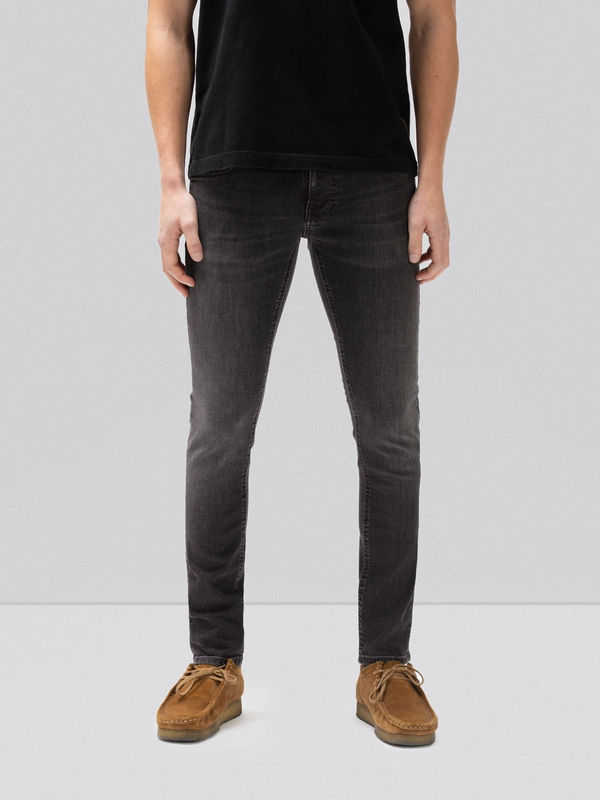 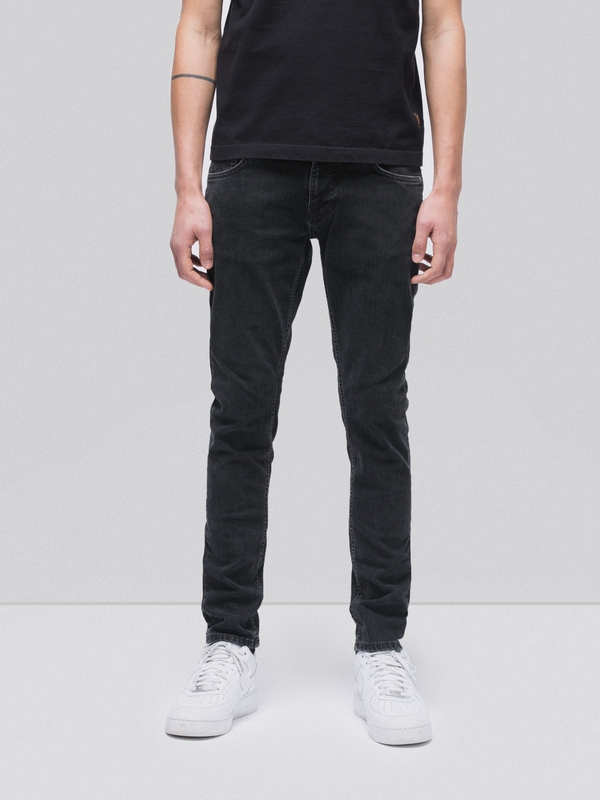 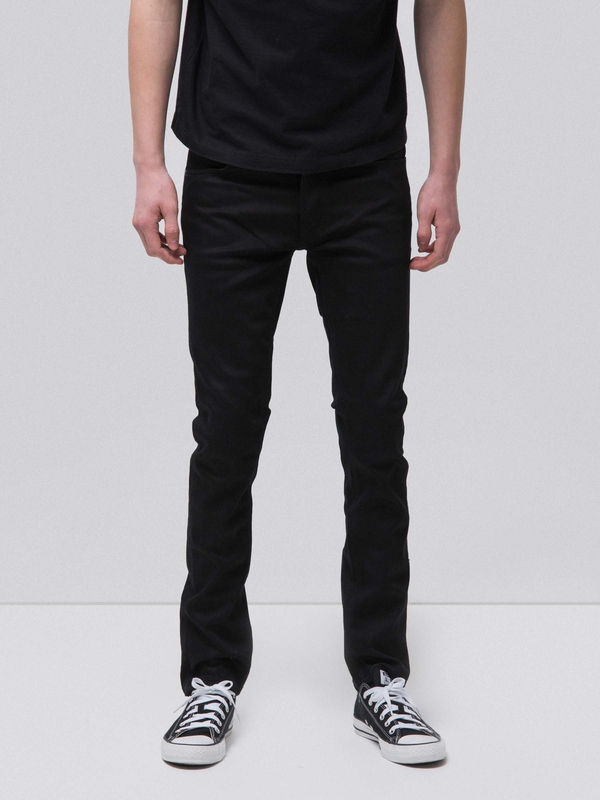 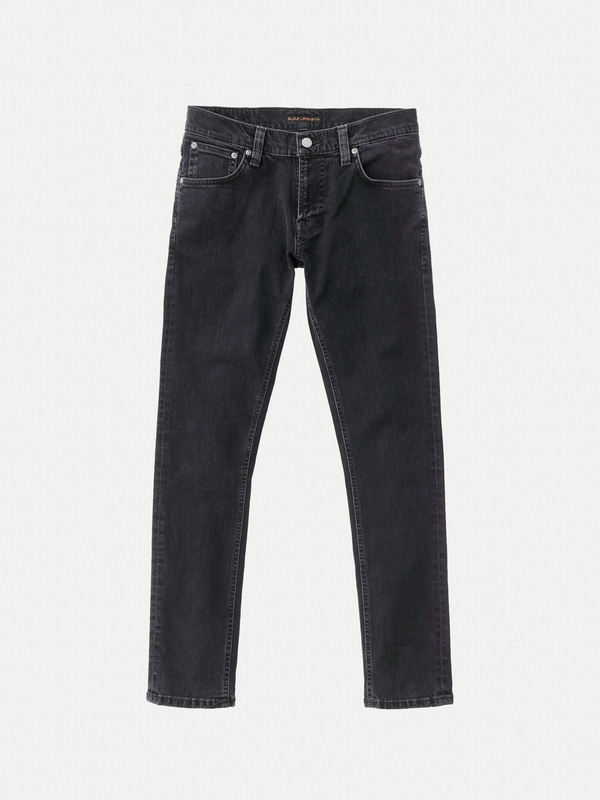 Jeans made in comfort stretch denim. 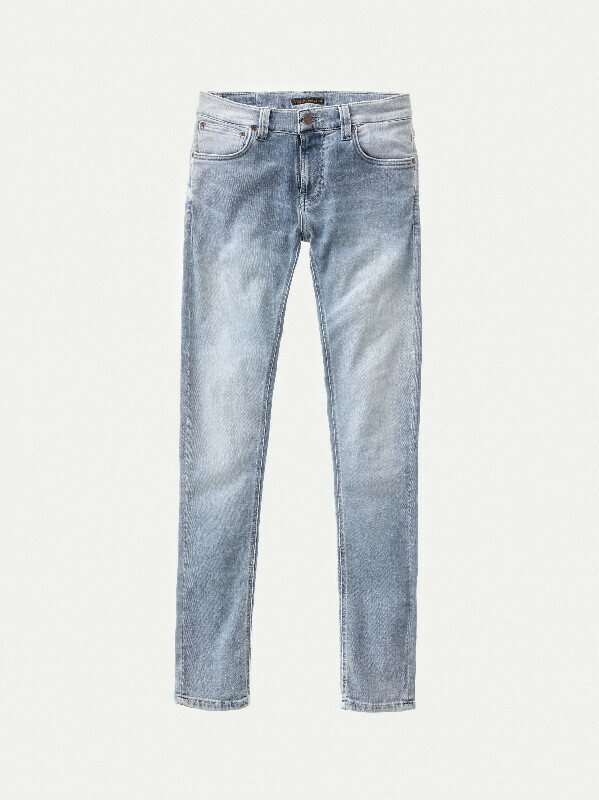 Bright blue jeans with a slightly warm tint. 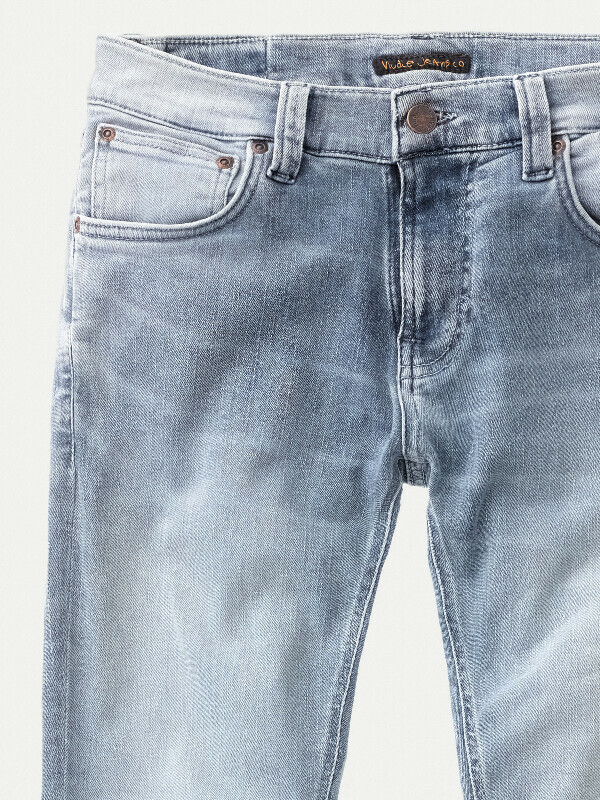 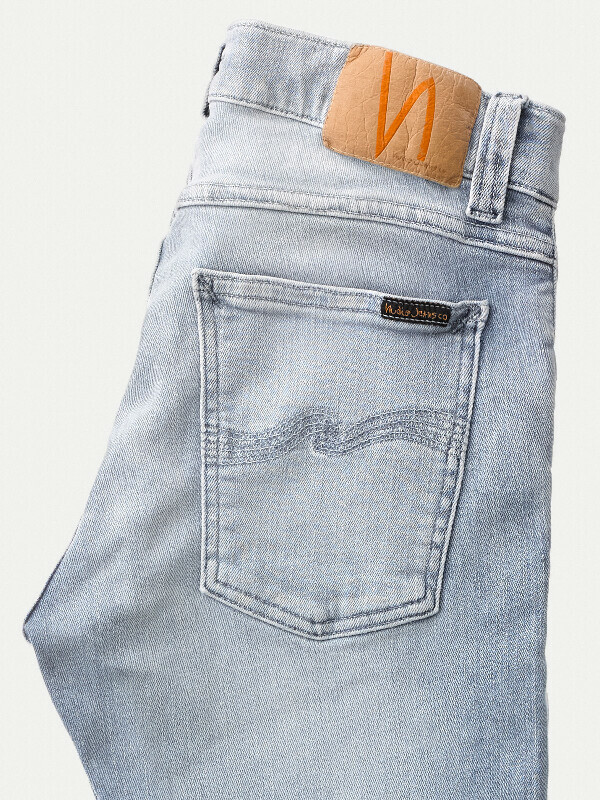 The seam threads are all indigo dyed and have faded with the denim, leaving the seams brighter while the seam puckering has remained darker. This gives the jeans a soft appearance where the bright blue tones meet the mid-blue in an interesting and beautiful indigo symbiosis.